So my kids right now are five and two. On one hand, these kids are at the pinnacle of their cuteness, and on the other hand, they don’t know the true meaning of being respectful to others. Everything revolves around “me”. That’s why I find it super hard to take kids for an extended period of time plane rides for vacation. 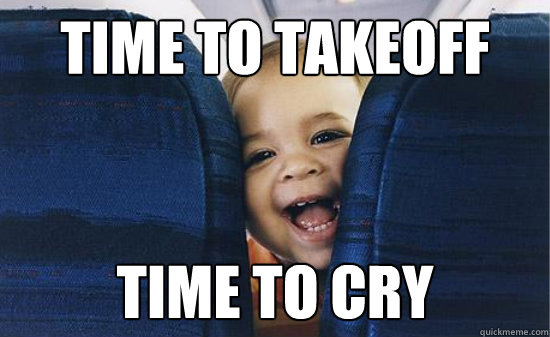 I’ve always been at a dilemma when taking kids for plane rides. They have no consideration for the other passengers when they are that young, so they could cause havoc in the cabin. When they aren’t getting what they want, then they cause a scene, and as the immature adult that I am, I will do whatever I can to appease the situation. This means mountains of tablet times, videos, chocolates, and candy. With that said, all the months of discipline that I have integrated into parenthood goes down the drain and it takes an excruciating amount of work and time to get back to where we were in the past. What to do, what to do? Any other parents like to share their experiences? Thanks, and have a great holiday season!